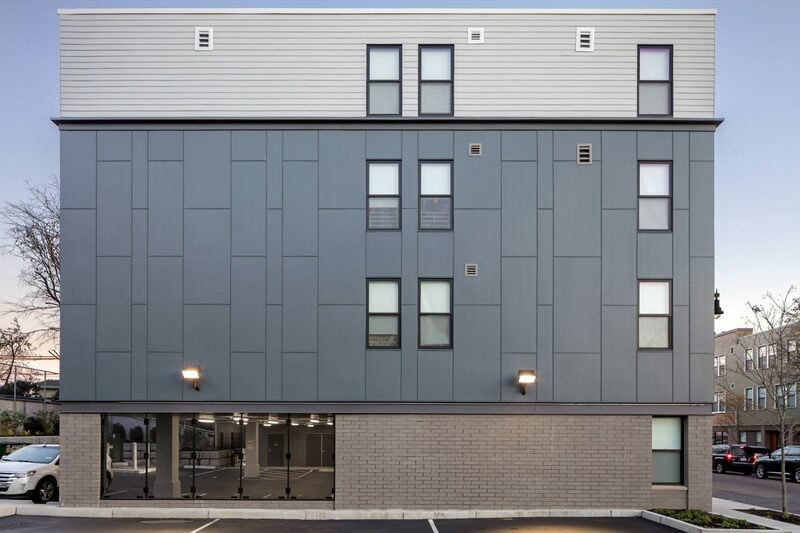 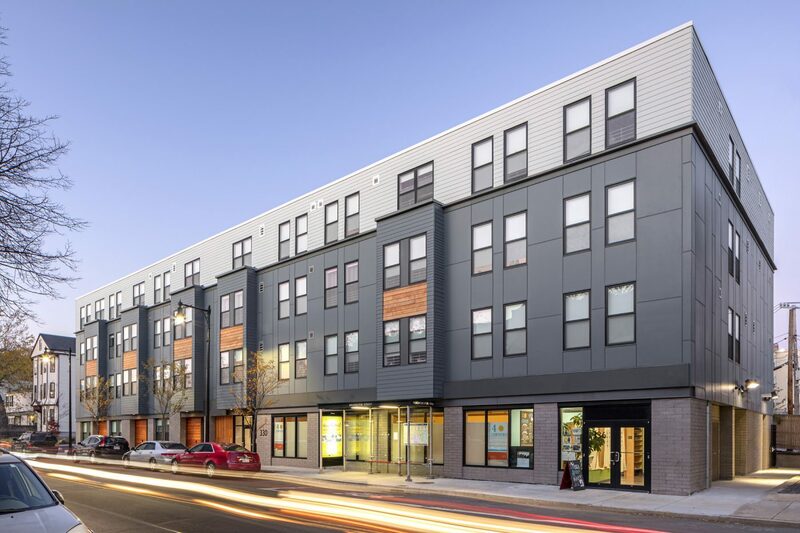 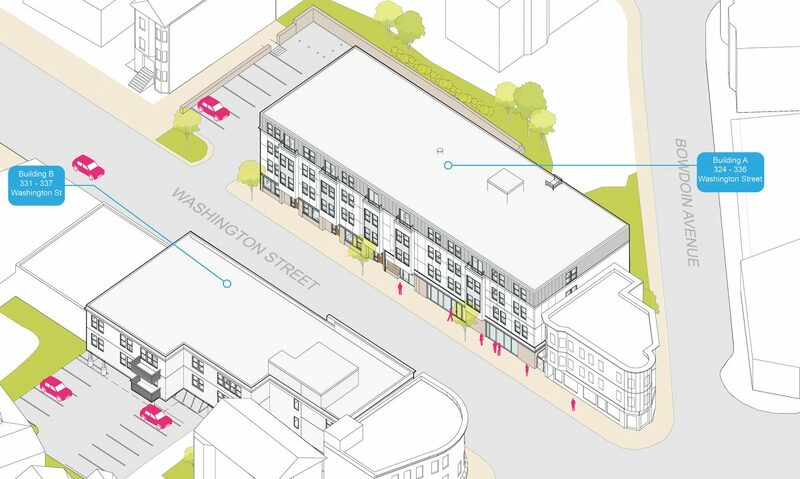 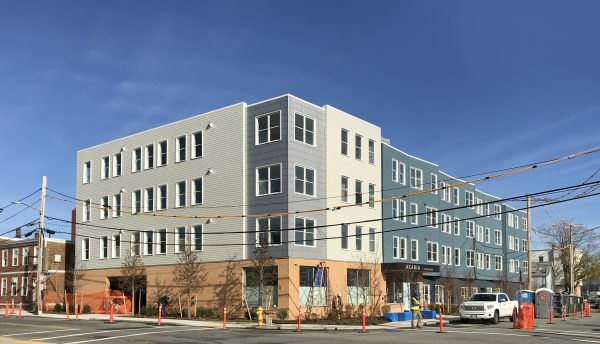 Utile worked with community development corporation VietAID to create Upper Washington Street Housing, a mixed-use development with 35 units of multifamily housing and 3,000 square feet of commercial and community space in the Four Corners neighborhood of Dorchester. 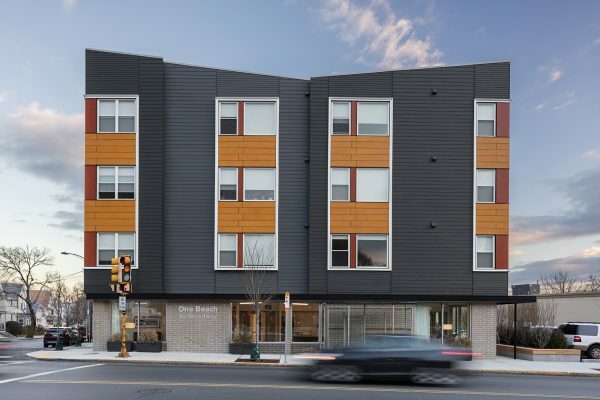 The project is comprised of two buildings that bring essential density and definition to the neighborhood. 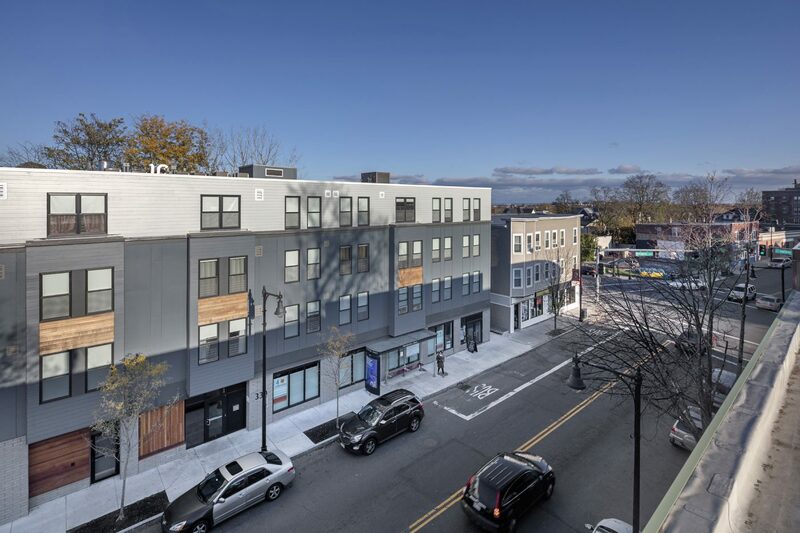 Ground level retail and community-oriented space help create an active street edge to maintain “main street” qualities of the block, while townhouse-style units further define the street frontage with the rest of the rental units on upper floors. 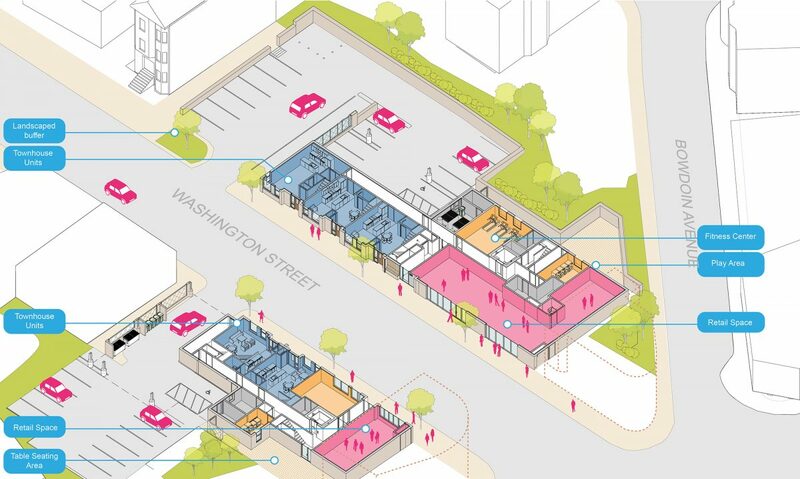 The back of each building has designated open space for casual seating and a play area. 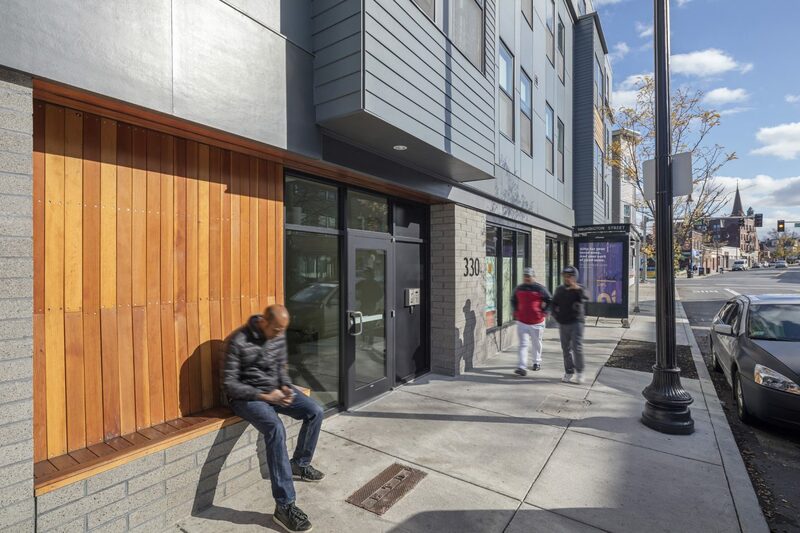 While the building’s design is contemporary to reflect aspirations of a revitalized neighborhood, it also strives to respect the scale and character of the existing neighborhood fabric. 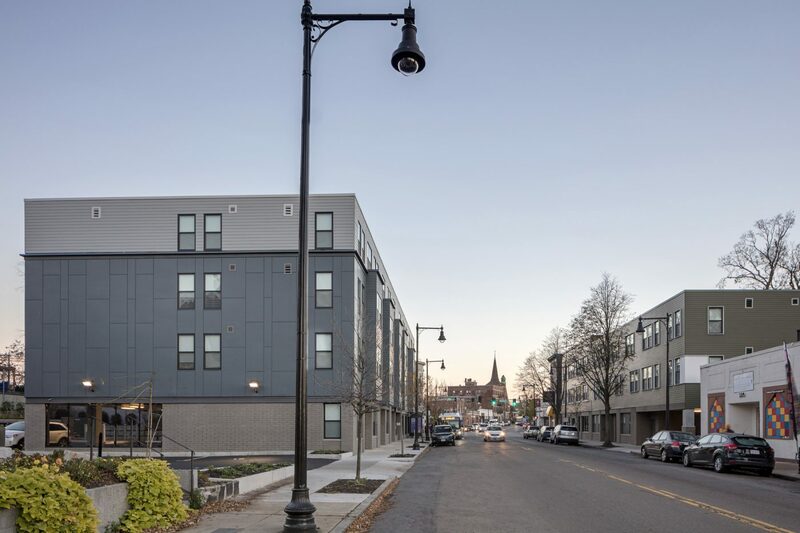 Doors opened to residents in March 2017, bringing affordable housing to Dorchester. 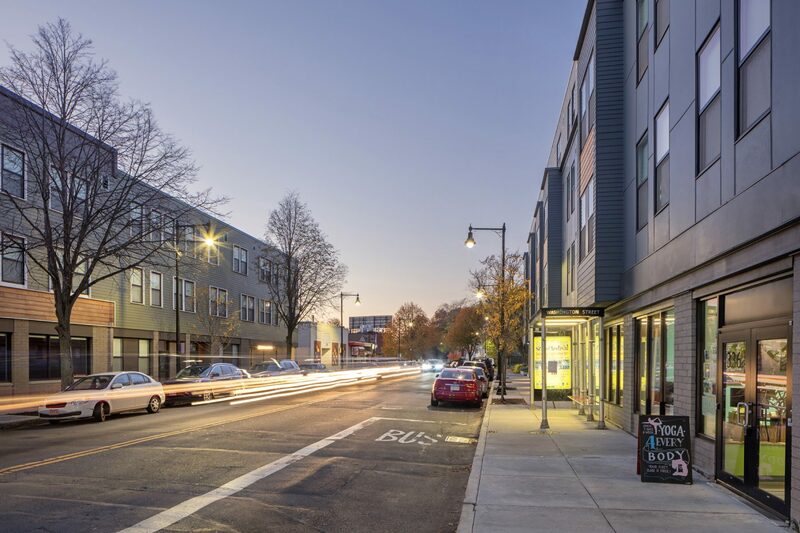 Upper Washington also provides commercial space to support local and minority businesses, expands the customer base for established businesses, and contributes to the ongoing revitalization efforts of the neighborhood.